OMG! 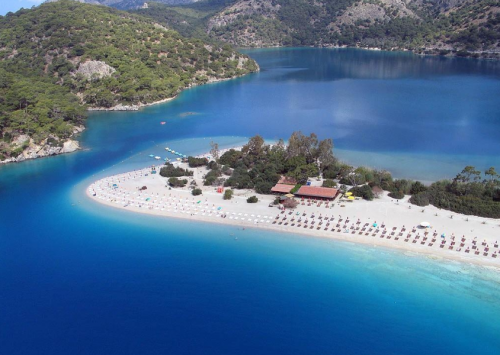 8 days in 3* hotel in Turkey with flight for €119! Ab in den Urlaub now offers insane holiday package deal in Turkey! Return flight from Germany, 8 days / 7 nights of accommodation in 3 star hotel for only €119! The departure options are also wide, you can choose from Berlin, Frankfurt, Hamburg, Hannover, Stuttgart, Munich or Dusseldorf for the same price! What’s more, you get €50 voucher for your next booking so you save even more money. The 3* Hotel Grand Villa Sol Apartments is located in Marmaris, a popular tourist destination on Turkish Riviera. It is equipped with swimming pool, snack bar and restaurant. This price is based on 2 people sharing double room. Transfer between Dalaman airport and hotel is not included but you can easily buy it with one of many transfer companies – we recommend Resorthoppa which offers this transfer for €14 – or you can rent a car on the airport. 10 days stay is also possible for just €1 more and 14 days are available for insane €124!! Don’t wait for anything and book now (you can use Google Translator to translate the page to English)! « Cheap flights to Iceland: Reykjavik for only €168!